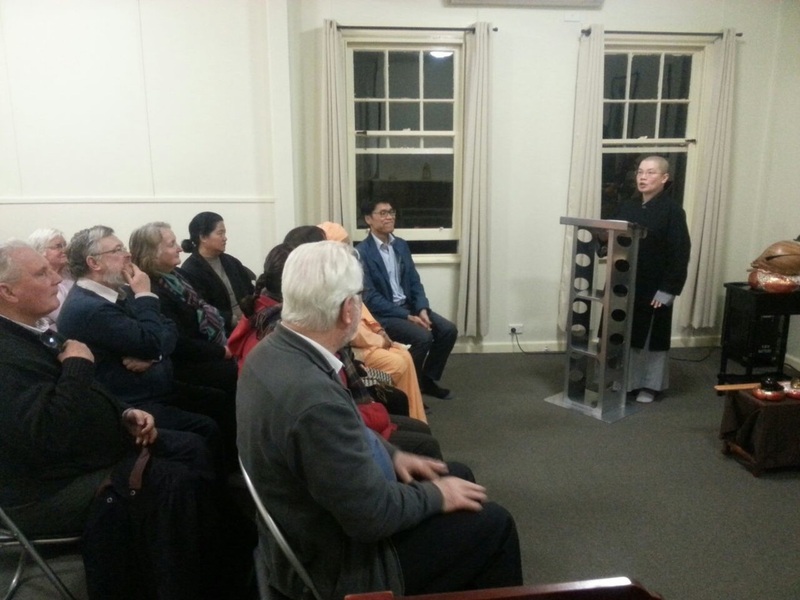 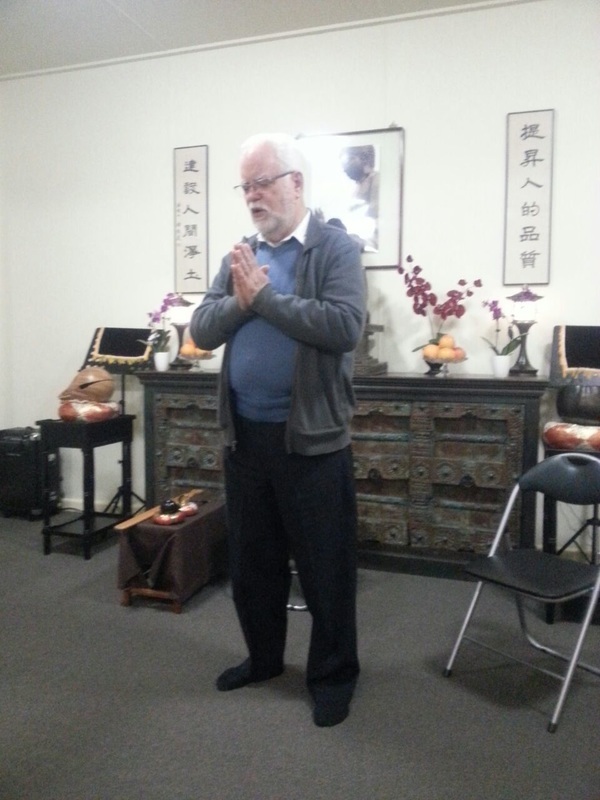 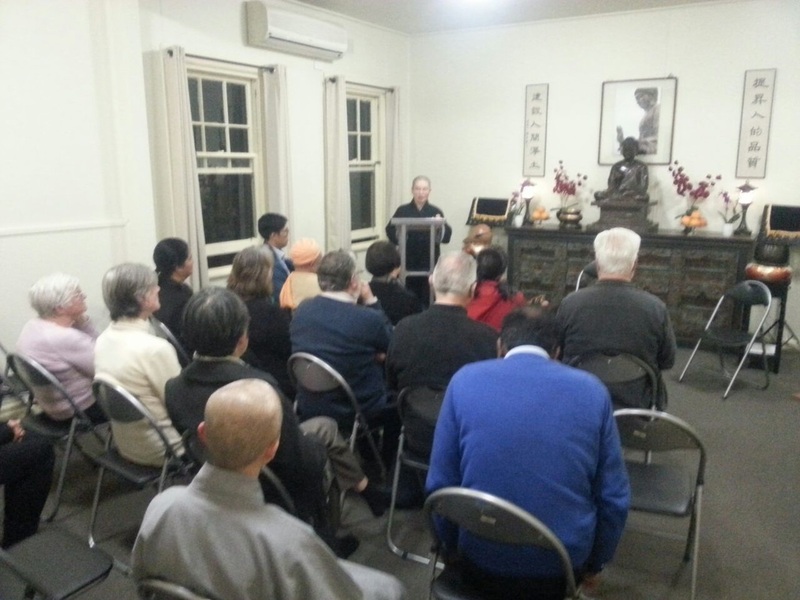 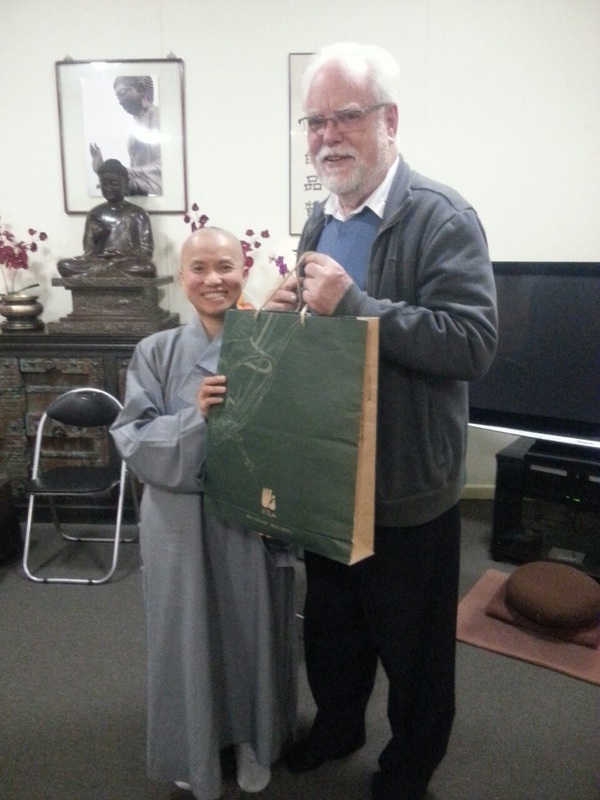 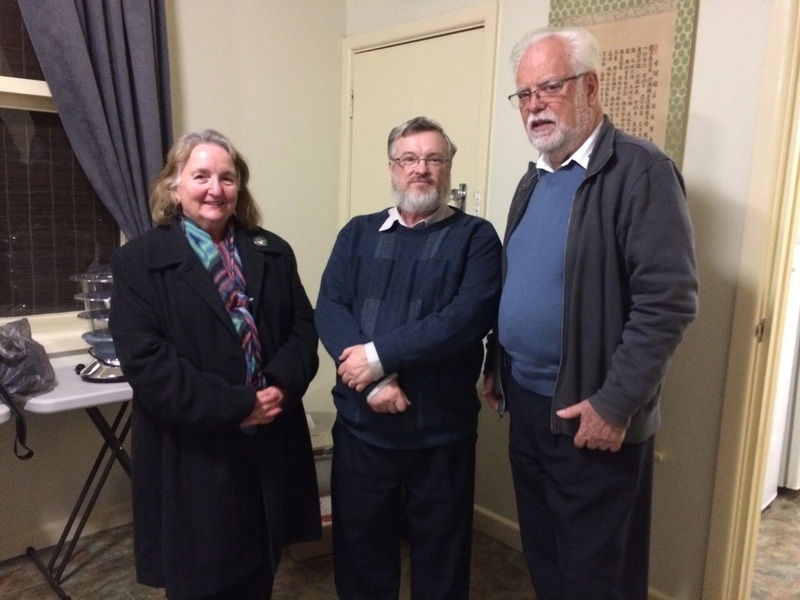 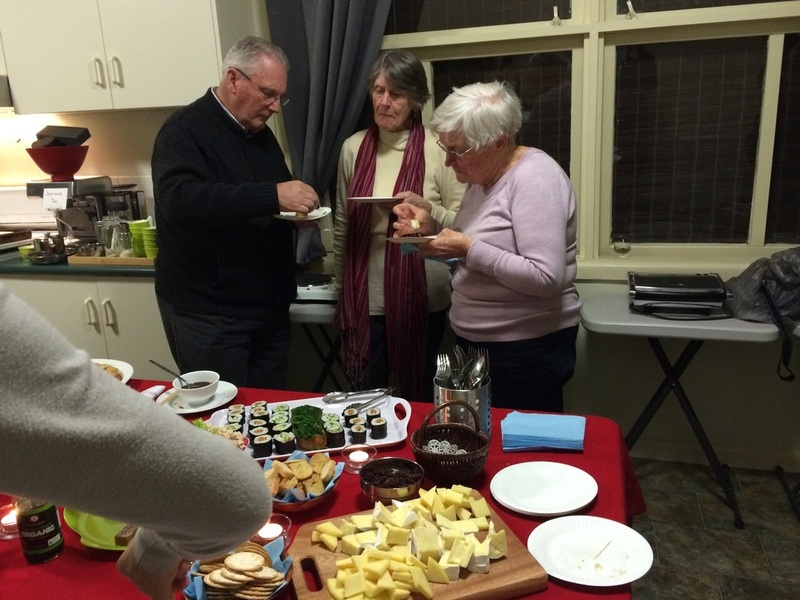 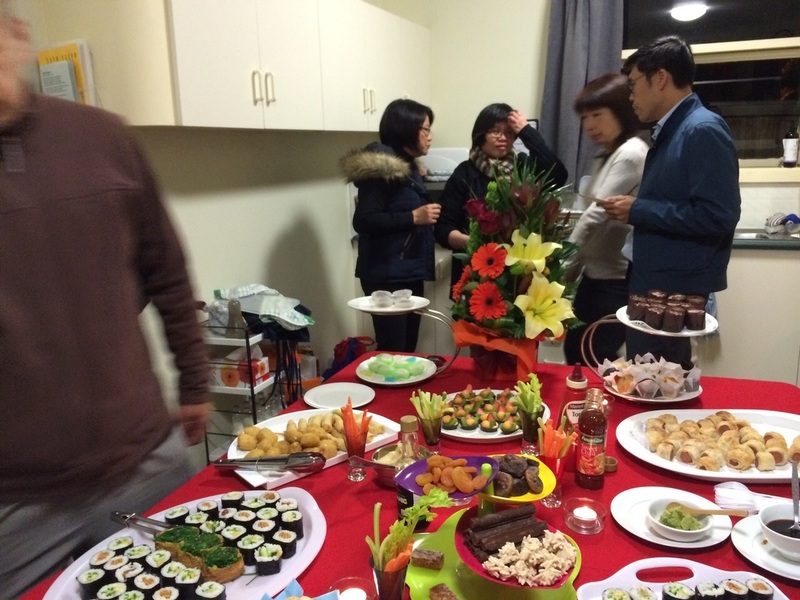 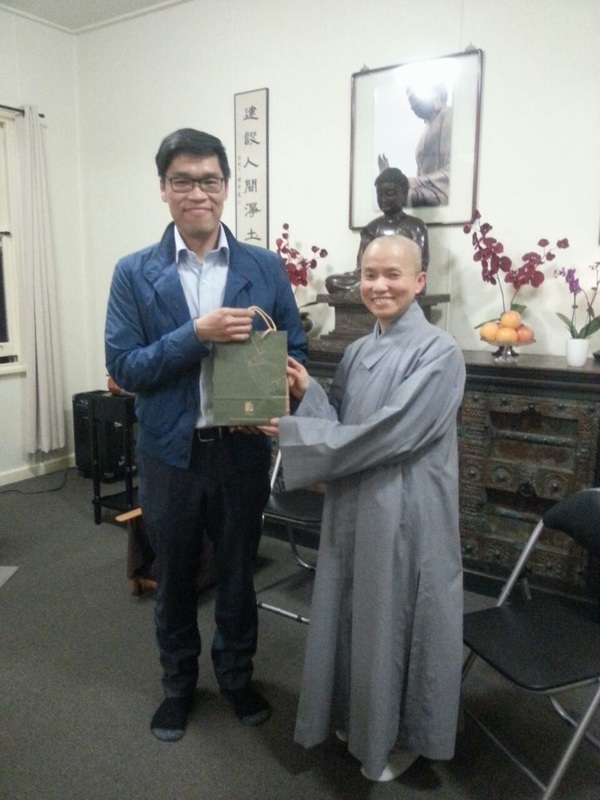 Dharma Drum Mountain Melbourne Chapter played host to the Maroondah Interfaith Network on a cold wet 'wintry' night. 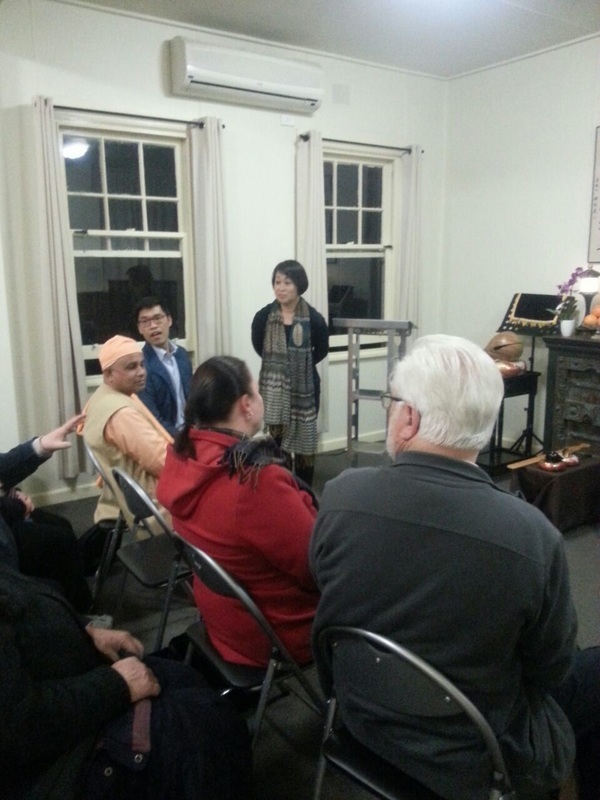 This year we were fortunate to have two Venerables from Taiwan as well, Guo Chang Fashi and Chang Ji Fashi. 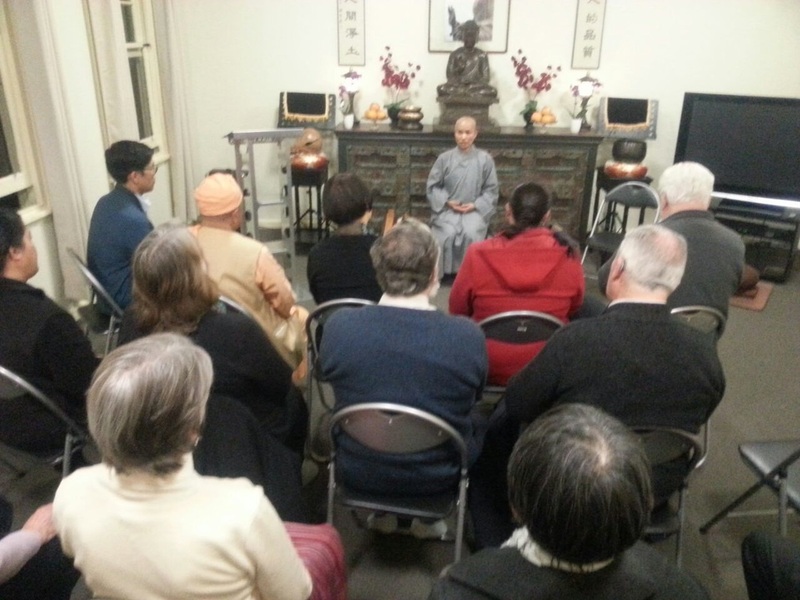 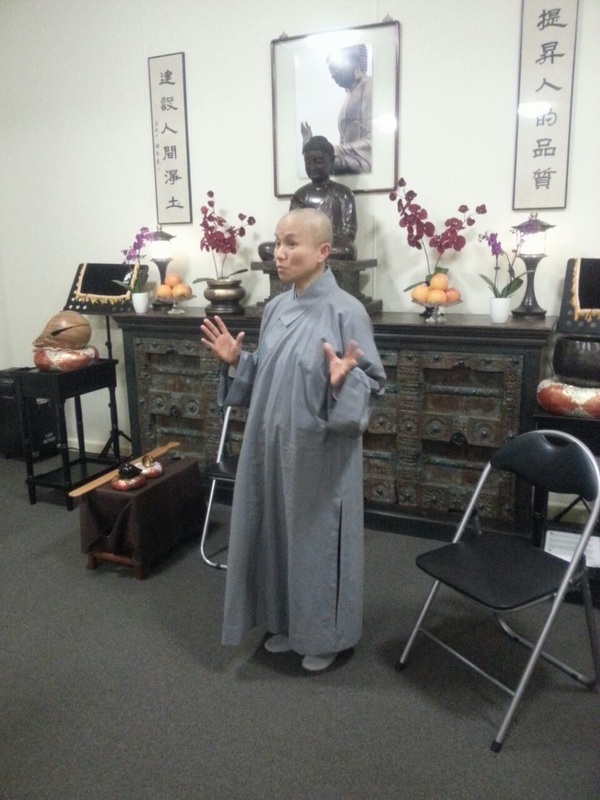 Chang Ji Fashi introduced the members of the Network to 'Chan Buddhism in our times' and Guo Chang Fashi gave a demonstration of guided sitting meditation. 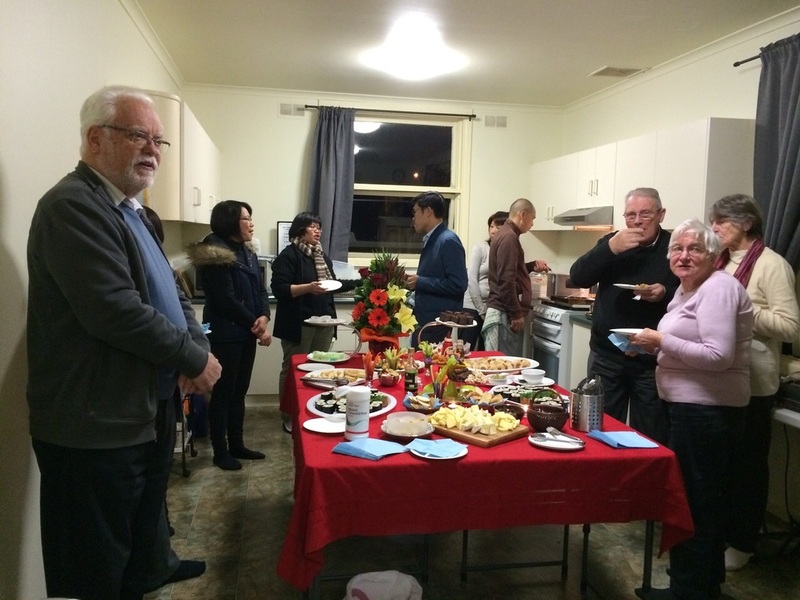 During the fellowship session, while tucking into the sumptuous spread provided by our volunteers we found that we have much in common with our Hindu, Quakers and Catholics friends. 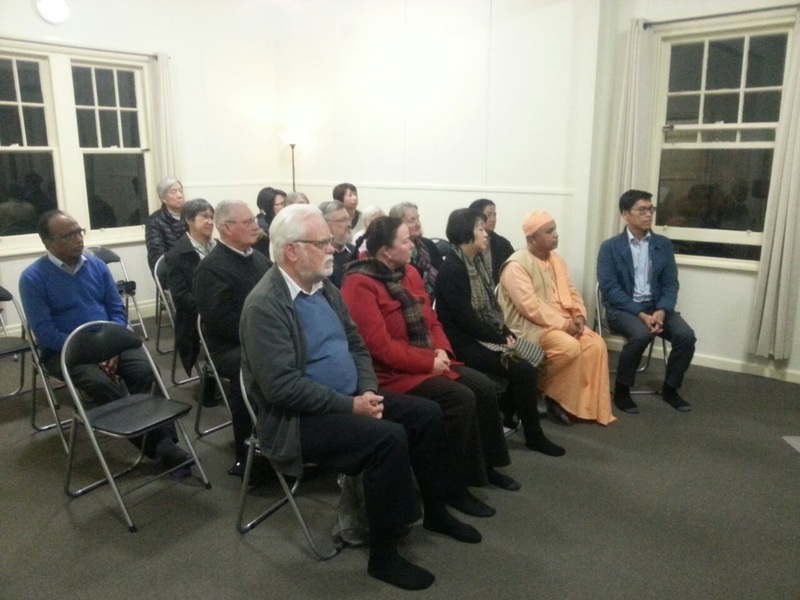 We look forward to working towards a Pure Land on earth from better understanding of our fellow Australians.